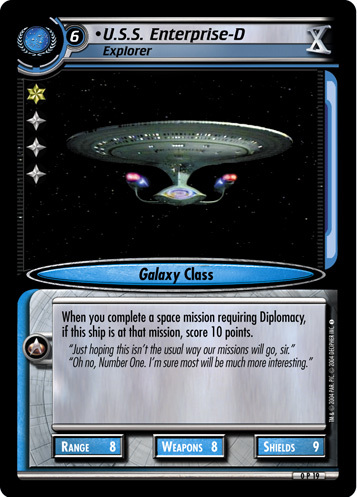 When you fail a mission attempt at a space mission, if this ship is at that mission, you may discard three cards from hand to place the top card of an opponent's dilemma pile face up beneath this mission. 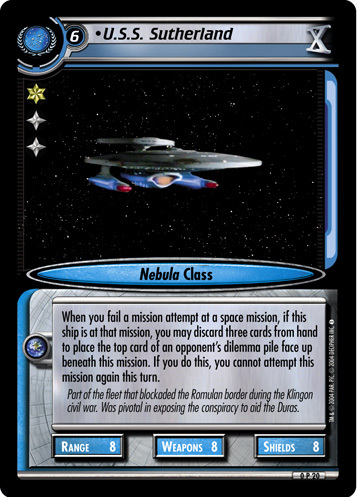 If you do this, you cannot attempt this mission again this turn. 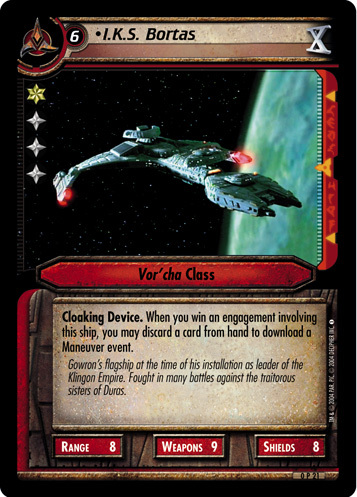 Part of the fleet that blockaded the Romulan border during the Klingon civil war. 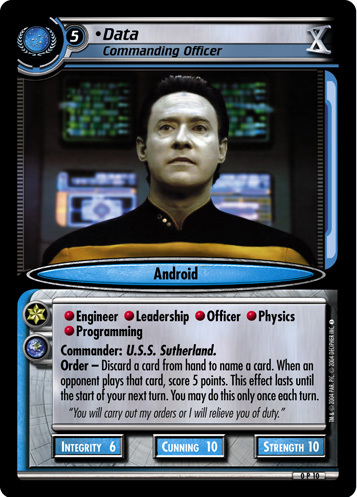 Was pivotal in exposing the conspiracy to aid the Duras.